Stop by The Hot Spot Studio at Rainbow Art Glass for our FREE April open house. Watch our experienced artists turn molten glass into colorful flowers, beautiful paperweights, one-of-a-kind cups, and more! Visit from 3pm to 6pm to learn about the art of glassblowing and see our artists at work. Want to create your own piece of glass art? 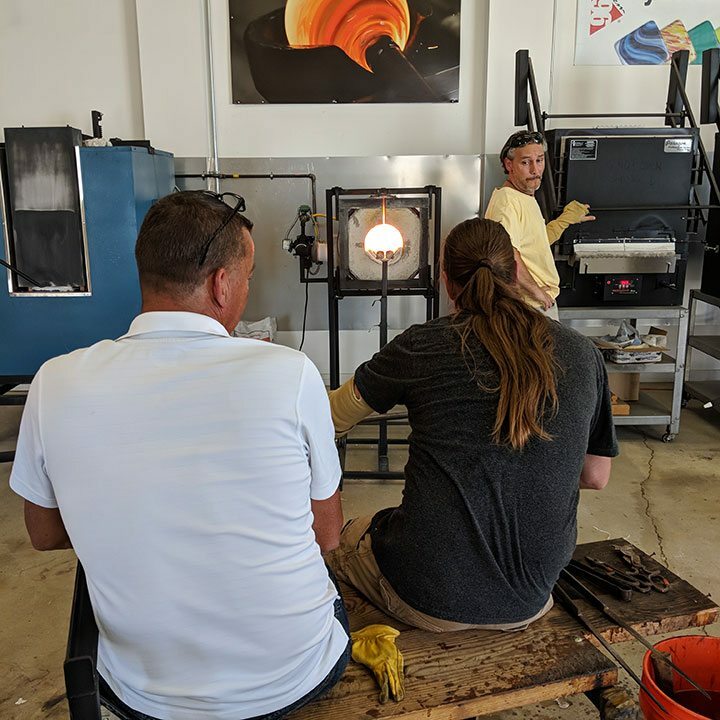 Sit one-on-one with one of our talented glassblowers as they guide you through creating and blowing your own unique glass art project*. Walk-ins welcome; reservations recommended. Please call (732) 681-6003 or visit hsrag.com to learn more. *Activity fee applies for project creation. Pieces require 12+ hours of annealing to strengthen the glass, and will be available for pickup starting April 10.